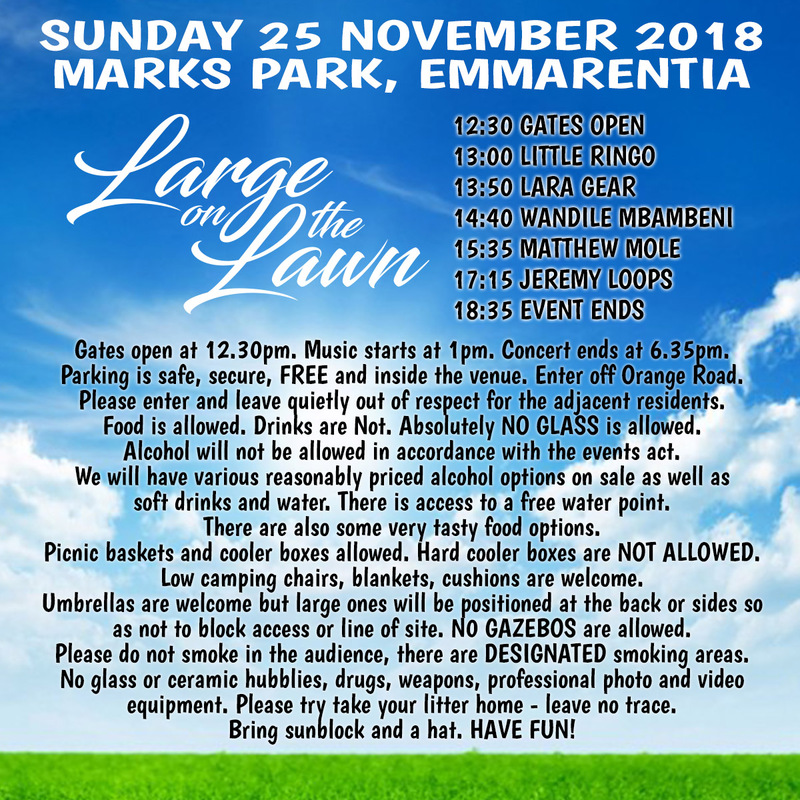 Gates open 12h30. Parking inside venue. Concerts end at 18h35 and goes ahead irrespective of rain. Regret no refunds are issued.